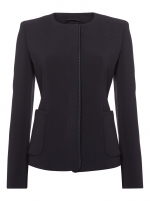 The Terzo jacket is in equal parts elegant and extremely comfortable to wear. 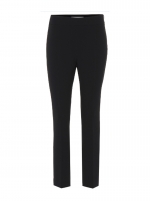 Designed by Italian luxury label Maxmara, this fits like a second-skin. 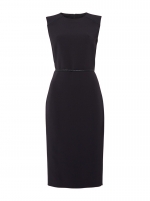 Crafted from crepe, it features precision style lines and a banded panel circling the waist. 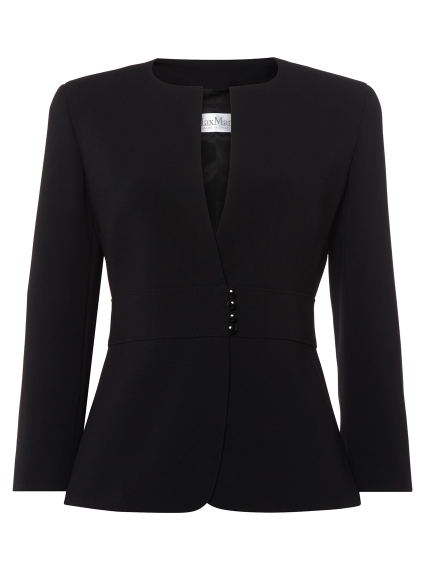 Wear to the office with the coordinating Gelly Trouser and a silk blouse.